I used to make this curry with chicken. Then when I went vegetarian, I started making it with a tofu recipe from The Grit Cookbook. 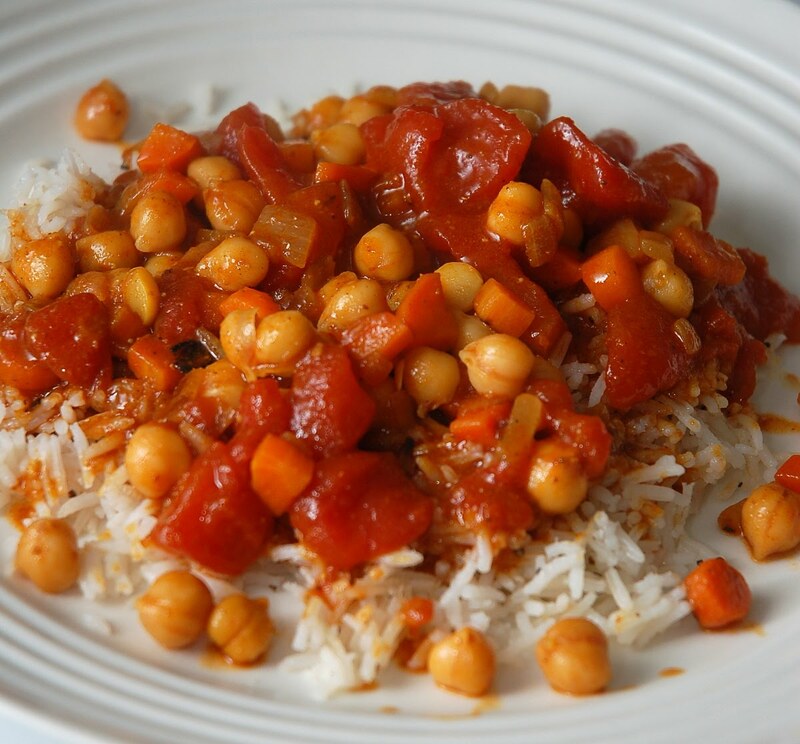 Now, though, I make it with chickpeas and that's made all the difference. I found the tofu to be a bit too soft, but the chickpeas add a nice firm feeling (but not too firm) in your mouth. First, get your rice cooking. This goes well with brown, jasmine, basmati or I've even made it with fettuccine noodles. Then, heat the oil in a skillet and add the carrots and onions. Cook until the onions start softening up. Add the curry paste and cook for about a minute to get the flavor to bloom. The paste will darken and that's what you want, but don't burn it. Add the tomatoes and beans and water or broth if not using cans. If you're using canned stuff, just make sure you don't drain them and use the liquid from those. You want it to be saucy, but it will reduce a little. Simmer for about 15-20 minutes or until the carrots are tender and it has the sauciness that you desire. We like it to be like curry gravy. Ha. 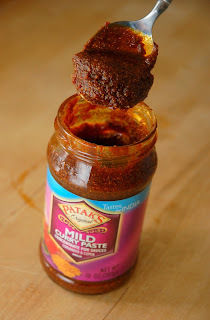 Patak makes some good pastes, chutneys and simmer sauces. 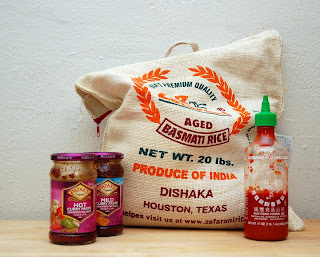 What we've noticed, however, is that the simmer sauces and the pastes are in the same size jar and cost the same amount of money ($3-5 a jar depending on where you buy). The simmer sauces are meant for the entire jar to be poured into a skillet and used all at once. So for that $3-5 you get a single meal. The pastes are meant to be mixed a few tablespoons at a time with liquids and you can get 5-10 meals out of a single jar. So definitely buy the pastes. I also like these pastes better in a lot of things than messing with my own curry powder when I'm feeling lazy or in a hurry. Patak's contains lactic acid, but it is from a non-animal source. I find Patak's at World Market, Whole Foods, Central Market and some Kroger stores. I get mild for nights when my kid is eating and hot for nights when it's just me and boyfriend. Amy's Veggie Loaf: Honey? Really? There's No Ham in There. It Only Tastes Like Ham.